Accountability is almost always spoken of in terms of holding someone else accountable for their actions. This inevitably leads to a discussion of past behavior and often does not resolve future actions. It generally focuses on punishment rather than planning a solution. This seminar, based on the book "The Oz Principle," helps everyone to understand how we often blame others, focus on excuses, and in general make accountability a miserable option for everyone involved. 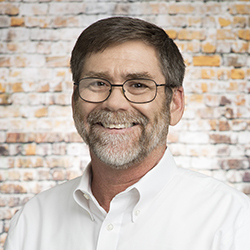 Senior Consultant and Master of Production, Remodelers Advantage Inc.
For the past 17 years, Tim Faller has worked shoulder-to-shoulder with hundreds of remodeling companies, large and small, to help improve profits by creating smooth, efficient production systems. Tim has interviewed and worked with countless owners, employees, stakeholders, and vendors as he travels across the continent consulting with some of the most successful remodelers in the industry. As a senior consultant and “master of production” for Remodelers Advantage, Tim’s field and business ownership experience is vital to his additional role as facilitator for Owner and Production Manager Roundtables Groups.